business plan plus budget-related questions and answers. ・Recognition of Tamotsu Ninomiya joining the governing board. ・Introduction of 2 part-time researchers. ・Academia members: 8 senior members, 21 regular members( 14 affiliated institutions). and academia　members at a gathering held after the training camp. ・Basic investigative policy for fiscal 2017. Investigative proposal status for METI updated. ・Proposals explained by extreme converter WG. Participating from ECPE were board chairman Leo Lorenz and one other. 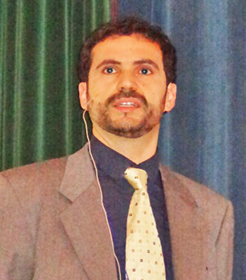 The NPERC-J side comprised core members of the wide bandgap semiconductor working group. Coordination of presentation titles and contents for the March 6, 2017, Japanese-German workshop at Nuremberg. Fiscal 2017 activity plans, post-project developments, and other subjects. 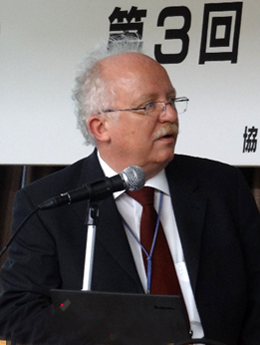 for ECPE and Japanese-German wide bandgap semiconductor research. Fiscal 2016 activities and fiscal 2017 prospects. Driving safely when connections configured for power supply inverters bring about electrical distribution system changes. 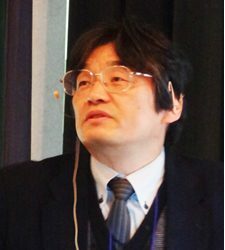 – Energy Internet WG leader Junichi Arai (Kogakuin University). Extreme conversion example: multilevel converter with a semiconductor breaker. 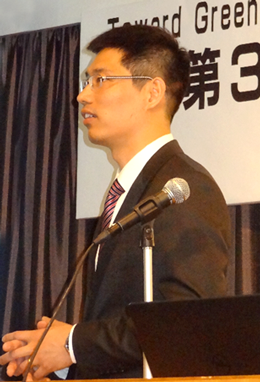 – investigative activity manager Yukihiko Sato (Chiba University graduate school faculty). 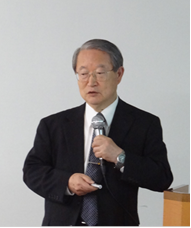 Material-device WG report: WG leader Shinichi Nishizawa (NPERC-J). 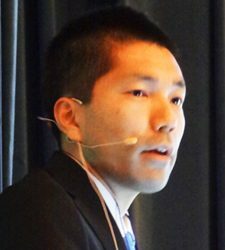 Extreme converter WG: WG leader Keiji Wada (NPERC-J). Energy Internet WG: WG leader Junichi Arai (NPERC-J). 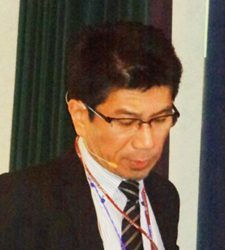 ECPE-core members conference report: WG leader Shinichi Nishizawa. This is NPERC-J’s fourth workshop since its establishment, and its first international workshop on New Generation Power Electronics and Systems. 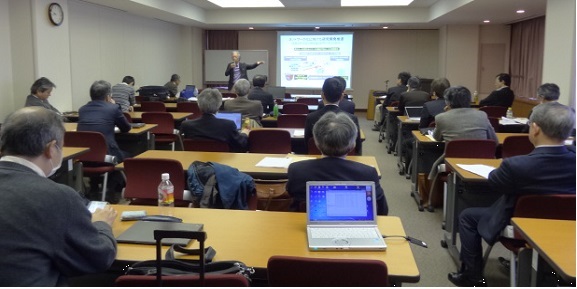 The workshop was cohosted with the Kitakyushu Environmental Electronics Institute (GRIK). Discussion followed presentations by seven Japanese and foreign experts on the future role of reliability science in ubiquitous power electronics. Society of the future will consume 50% of its ultimate energy needs in the form of electric power. Since saving energy and creating energy are recognized as producing the same effect, the technological development and spread of power electronics (PEL) equipment have become essential. With the expansion and spread of PEL equipment, the introduction of cost indicators defining the quantity of energy saved, or “negawatt cost,” is considered key. 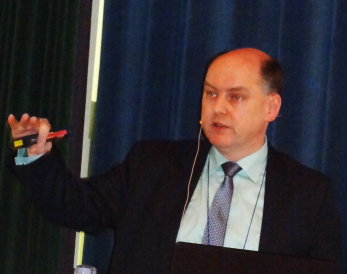 The workshop has provided another closeup of developments in material-device technology aimed at improving negawatt cost and in the technologies of system integration, mass production, as well as reliability science with applications to total design. NPERC-J was established in 2014 as an industry-university collaborative body for building an internationally accepted place of innovation with the objective of pushing forward a new generation of PEL research. The Kitakyushu Environmental Electronics Institute was set up in 2015 as an electronics study base conducive to a low-carbon society. This city-controlled research institute is the first of its kind in Japan. For this occasion, since the two organizations share views on negawatt cost, they jointly agreed to hold an international workshop on new-generation PEL and related systems. An outline of the workshop proceedings follows. Scene at the First International Workshop on NPES. 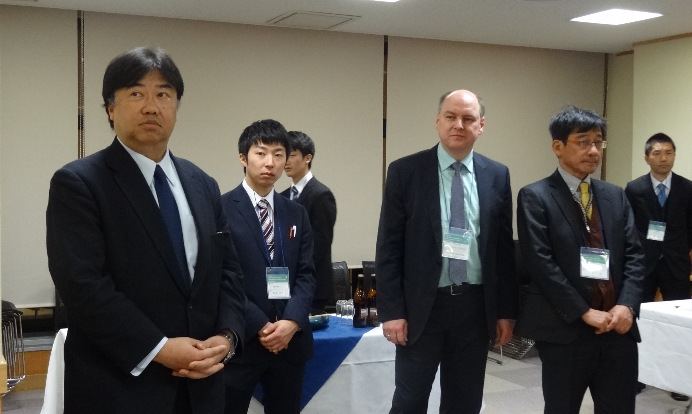 Shown at the get-together following the First International Workshop on NPES are workshop chairman Ichiro Omura (second from right), Prof. Nando Kaminski (next to Omura), and Deputy Director General of Economy, Trade and Industry Takeo Hoshino (third person over from Kaminski). With ECPE Second Japanese-German Wide Bandgap Semiconductor Research Meeting (members only). Board chairman Leo Lorenz and two others from ECPE, with the counselor to the German Embassy in Japan, set the following meetings. Discussion of 2016 activity (members only). 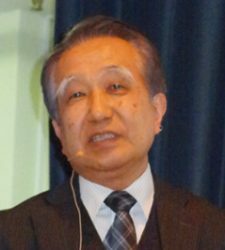 March 6, 2017, cooperative workshop program (members only) at Nuremberg between ECPE and Japan (NPERC-J and Osaka University). and other venues of exchange. Japanese-German Wide Band Gap Semiconductor Research Team with ECPE President Leo Lorenz (front row at right). The activities of both were introduced, and discussion was held on the joint-project “Wide band gap semiconductor system and its applications,” where each other’s intentions were shared. The workshop was held with the cooperation of the Institute of Electrical Engineers of Japan, ECPE, and CPES and ended with much participation and lively discussion. Dr. Hidetoshi Ishida Panasonic Corp. Since 2009, NEDO has been promoting R&D projects for the field of power electronics for the next-generation of power electronics projects to realize a low-carbon society. Among them, the NPERC-J proposed R&D item, the “Development of the next-generation of Si power device technology,” started in 2014. 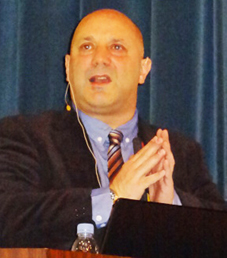 The outline and the results for 2015 were reported. Since 2015, the New Energy and Industrial Technology Development Organization (NEDO) has been promoting cutting-edge research for discovering new application areas for creative and innovative high-power electronics. Among this research, the NPERC-J drafted above-mentioned theme. The results for 2015 were reported. President Hiromichi Ohashi, Executive-Director Omura, and General Manager Shimizu visited the ECPE headquarters and had a meeting on research plans with President Lorenz, General-Manager Harder, Researcher Mr. Rechberger. 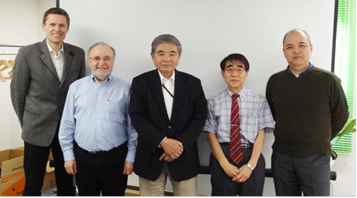 ECPE President Dr. Lorenz, NPERC-J President Ohashi, and General-Manager Shimizu had a meeting to discuss next year’s plans with the joint-promotion of the German-government funded “Next Generation Power Electronics-Wide Band Gap Power Semiconductor Devices and System Integration,” starting in January 2016, and issues to cooperate on. The future of converters: multi-level or two-level? 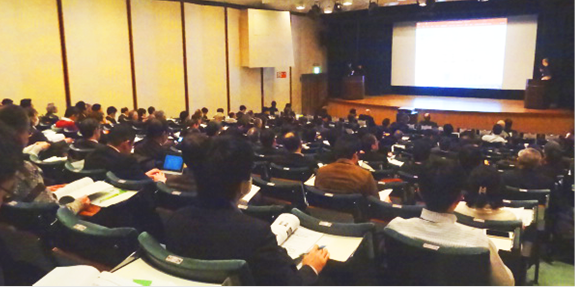 There were eight poster presentations from Chiba University, Tokyo Metropolitan University, and Kyushu Institute of Technology, and the activities of college research laboratories were understood through lively discussion with industry and academia members.